NAMPA, Idaho (Jan. 14, 2019) — I had the pleasure of showing off our three northernmost ski resorts to several journalists last week. Two hail from the East Coast and had never visited Idaho before, but they thought it was very easy to reach the region by flying to Spokane, Wash., via Seattle. SUBLIME SKIING — My companions and I fell in love with our resorts up north on this trip. It was my first visit to Lookout Pass and Silver Mountain, and I hadn’t skied Schweitzer since 1985 when I was a junior at University of Idaho. I won’t be waiting another 34 years to return and desperately wish it won’t take me even 34 days to get back. Boasting the most acreage among Ski Idaho resorts, Schweitzer offers plenty of diverse terrain to explore and epic views of Lake Pend Oreille and the Selkirk Mountains. It’s no wonder SKI magazine dubbed the resort “the best kept secret in North America.” Lookout Pass was a lot of fun, too. It straddles the Idaho-Montana border, so you can ski two states and two timezones at one resort. Plus, Lookout averages more than 400 inches of annual snowfall, so there’s always plenty of pow stashes to play in. Last, but definitely not least, was Silver Mountain. A quarter of the world’s silver supply has come out of Idaho’s Silver Valley, and it’s pretty wild to think while we were skiing on top of this grand mountain people were actively mining it far underneath. Like Schweitzer, the views from Silver’s two summits, Kellogg Peak and Wardner Peak, are incredible. So’s the skiing! EASY, SCENIC DRIVES — Schweitzer, Lookout Pass, and Silver Mountain lie within the Idaho Panhandle's lofty and lush evergreen mountains that are also home to historic and illustrious mining and timber towns and ethereal lakes. All three resorts are within 30 minutes to 2 hours and 20 minutes of each other. All but 83 of the 311 miles we drove on our five-day trip were on I-90, with the remainder on state highways that traverse flat valleys. Total drive time between the airport and the resorts over the course of the journey was only 7 hours and we would’ve clocked in right around 6 hours if we hadn’t encountered snow on our drive from Schweitzer to Wallace Tuesday afternoon. Visit https://goo.gl/maps/5zGcP19q2Fu to see our route map. AMAZING ACCOMMODATIONS — We stayed slope side at Schweitzer in the cozy condos at Selkirk Lodge our first night in rooms overlooking the Village Plaza. Night two found us two hours southeast at The Wallace Inn, a nice hotel about 15 minutes from Lookout Pass with comfy rooms and a lovely indoor pool area. The posh rooms at Silver Mountain’s Morning Star Lodge, which included wonderful kitchenettes, are essentially slope side, too, with the gondola — North America’s longest — only a couple hundred feet away. Silver Mountain is also home to Idaho’s largest indoor waterpark, Silver Rapids, which is loads of fun and immediately adjacent to the lodge. We spent our last night in North Idaho at Ski Idaho’s newest lodging partner, the elegant Blackwell Boutique Hotel. This luxurious historic mansion and gourmet bed-and-breakfast is nestled along Sherman Avenue, the picturesque main street of Idaho’s iconic mountain-lake resort town Coeur d’Alene just 40 minutes east of Spokane International Airport. The Blackwell’s restoration, regional significance, artwork on display, frittatas, and hospitality are staggering. CRAFT BEER GALORE — Chimney Rock Grill at Schweitzer served up a fantastic dinner our first night that paired each of the four courses with a different Idaho beer. The next evening we enjoyed some tasty hopped cereal-grain beverages and satisfying pub fare at City Limits Brew Pub in Wallace and heartily recommend their Loft Honey beer brewed in honor of the Loft Pub at Lookout Pass. Lamentably Radio Brewing in Kellogg was closed on Wednesdays this month, so we diverted to Hill Street Depot, which has an excellent array of craft beers and ciders on hand. And our last night in North Idaho we dined at Daft Badger Brewing in Coeur d’Alene — my favorite watering hole on the trip — and enjoyed a nightcap at Mad Bomber Brewing Co. in nearby Hayden. It was a truly memorable trip, and I must say if you haven't skied North Idaho, you really haven't skied. Visit the Ski Idaho 2019 North Idaho FAM photo album on my Facebook page if you’d like to check out more photos from this super-fun FAM. McCALL, Idaho (Dec. 22, 2018) — Skiers throughout Idaho have much to celebrate this holiday season, with all 18 of the state's alpine ski resorts either already open for the season or opening before the New Year. Up in the Idaho Panhandle, Bald Mountain Ski Area (skibaldmountain.com) in Pierce plans to open Friday Dec. 28. Bogus Basin (bogusbasin.org) near Boise is open seven days a week, with night operations beginning last night, Dec. 21. The resort has 25 inches of snow at the base and has received 47 inches total this season. The mountain is among resorts of the year for Montana, Idaho, and Wyoming identified in SKI magazine's annual "Resorts of the Year" issue for 2019. In McCall, Brundage Mountain (brundage.com) is open seven days a week. The resort has 37 inches of snow at the base and has received 74 inches total this season. It earned an Editor's Choice-Next Best Places award for up-and-coming areas in SKI magazine's 2019 "Resorts of the Year" issue. Meanwhile, up on the Camas Prairie, Cottonwood Butte Ski Area (cottonwoodbutte.org) near Cottonwood plans to open Dec. 26 depending on snow. Just across the state's eastern border, Grand Targhee Resort (grandtarghee.com) in Alta, Wyo., is open seven days a week. The resort, which has 54 inches of snow at the base and has received 140 inches total this season, affiliates with Ski Idaho because it's only accessible via Driggs, Idaho. Kelly Canyon Ski Resort (skikelly.com) in nearby Ririe is open six days a week and closed Sundays. This season it has received a total of 47 inches of snow. Likewise, the Little Ski Hill (payettelakesskiclub.org/little-ski-hill) in McCall is open six days a week beginning today, Dec. 22, but closed Mondays. Back up north, Lookout Pass (skilookout.com) near Mullan is open seven days a week. The resort has 54 inches of snow at the base. Straddling the Idaho-Montana border, Lost Trail (losttrail.com) near Conner, Mont., is open daily through Jan. 6 and then open Thursdays through Sundays and major holidays the rest of the season. It has 20 inches of snow at the base and has received 61 inches total this season. Down south, Magic Mountain (magicmountainresort.com) near Hansen is open daily though Jan. 6 except Christmas and then open Thursdays through Sundays and major holidays the rest of the season. The resort has 29 inches of snow at the base. Pebble Creek Ski Area (pebblecreekskiarea.com) in Inkom is currently open Fridays-Sundays but will begin daily operations Dec. 26. It has 19 inches of snow at the base. Pomerelle Mountain Resort (pomerelle.com) near Albion is open seven days a week. Night operations begin Dec. 26 and run Tuesday-Saturday nights. The resort has 32 inches of snow at the base and has received 81 inches total this season. Idaho's northernmost alpine ski area, Schweitzer Mountain Resort (schweitzer.com) in Sandpoint is open seven days a week. The mountain has 38 inches of snow at the base and has received 79 inches total this season. It is among resorts of the year for Montana, Idaho, and Wyoming identified in SKI magazine's annual "Resorts of the Year" issue for 2019. SKI magazine also singled out Schweitzer as "an up and coming four-season resort" whose "views of sparkling Lake Pend Oreille give the Tahoe areas a reason to be nervous." Nearby Silver Mountain Resort (silvermt.com) in Kellogg is also open seven days a week. It has 41 inches of snow mid-mountain and has received 80 inches total this season. Snowhaven Ski & Tubing Area (grangeville.us/snowhaven-ski-and-tubing-hill) to the south near Grangeville on the Camas Prairie opened today, Dec. 22. It has 12 inches of snow at the base. Back down south, Soldier Mountain Ski Area (soldiermountain.com) near Fairfield is open daily through New Year's Day except Christmas Eve and Christmas Day. Beginning Jan. 3 the resort, which has 17 inches of snow at the base, will open Thursdays through Sundays and on major holidays the rest of the season. North America's first destination ski resort and the global birthplace of lift-assisted skiing, Sun Valley Resort (sunvalley.com) in Sun Valley is open seven days a week. It has received a total of 25 inches of snow this season, but thanks to the resort's fantastic snowmaking capabilities it has 33 inches of snow at the base. Sun Valley earned first place in western North America for charm and lift service in SKI magazine's annual "Resorts of the Year" issue for 2019 and third place for "overall satisfaction" among readers. Tamarack Resort (tamarackidaho.com) in Donnelly is open seven days a week. The mountain has 19 inches of snow at the base and 26 inches mid-mountain. Founded in 1982, the Idaho Ski Areas Association, a.k.a. 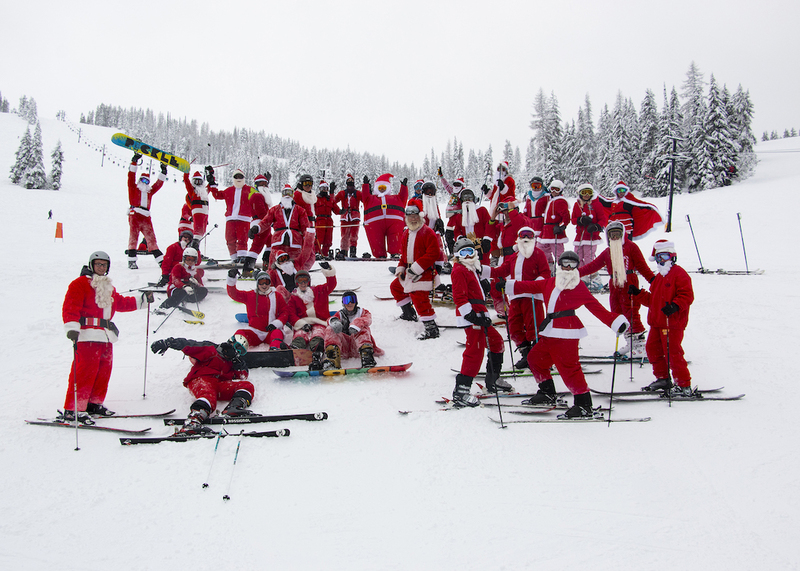 Ski Idaho, is a nonprofit association funded by the Idaho Travel Council via the state's 2 percent lodging tax paid by travelers and collected by hotel, motel, and private campground owners. Boasting 28,000 vertical feet of terrain spanning more than 20,000 acres, Idaho is the birthplace of lift-assisted skiing, home to America's first destination ski resort, and often considered the soul of skiing. Its 18 family friendly alpine ski resorts offer trails and backcountry for skiers and snowboarders of all ages and skill levels, breathtaking views, hundreds of inches of fresh powder, and short lift lines. Visit skiidaho.us for more details. BLOOMFIELD HILLS, Mich. (Dec. 5, 2018) — This month Skis.com, Snowboards.com, and Ski Idaho are giving away a trip for two to visit three North Idaho ski resorts in The Great Idaho Ski Getaway sweepstakes promotion. 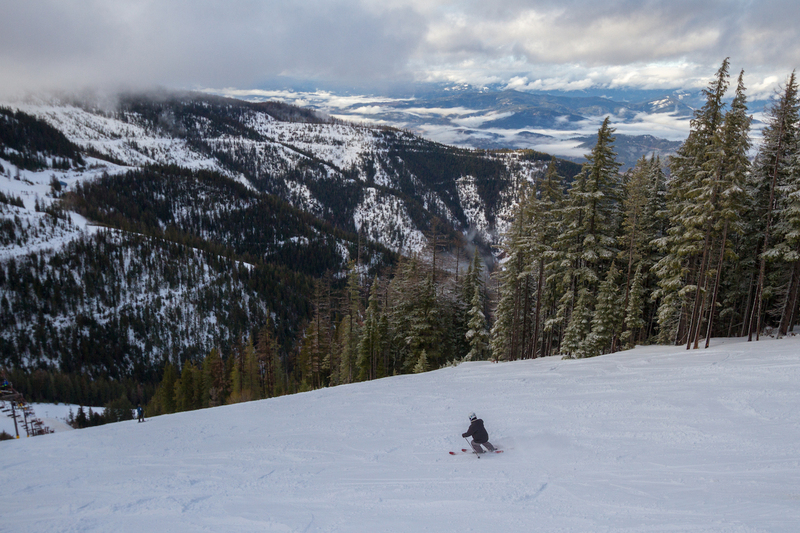 "With over 28,000 feet of vertical and 18,000 acres of skiable terrain, Idaho is quintessential ski and snowboarding country," Ski Idaho board chair and Brundage Mountain Co. president Bob Looper said. 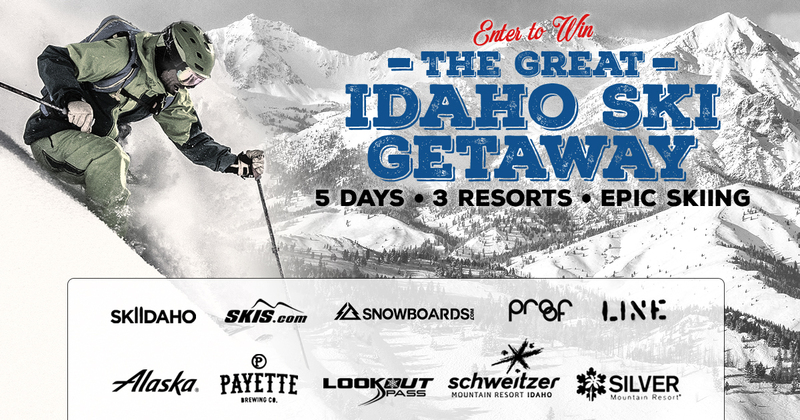 "And if you win The Great Idaho Ski Giveaway you'll get to explore some of the very best our state has to offer." One grand prize winner and a guest will fly to Spokane International Airport courtesy of Alaska Airlines to ski or ride Lookout Pass, Schweitzer, and Silver Mountain amid the Idaho Panhandle's vast lakes, winding rivers, lush evergreen mountains, and historic mining and timber towns. Schweitzer has 2,400 vertical feet and Silver has 2,200 vertical feet, so expect epic views and choose from 92 and 77 trails, respectively. Meanwhile, Lookout Pass boasts two mountains and straddles the Idaho-Montana border so you can actually ski in both states at the same resort. Also worth noting: Schweitzer was just singled out in SKI magazine's annual Resorts of the Year issue for 2019 as "an up and coming four-season resort" whose "views of sparkling Lake Pend Oreille give the Tahoe areas a reason to be nervous." The winner will also receive an overnight stay at the acclaimed Coeur d'Alene Spa Resort in Coeur d'Alene, Idaho -- ranked as one of the top resort spas in America by Condé Nast Traveler. Visit Skis.com/skiidaho to enter and for official contest rules. No purchase is necessary. Skis.com and Snowboards.com are Internet extensions of Summit Sports, a retailer with five stores in Michigan and five in Texas that's been serving skiers and snowboarders in a brick-and-mortar capacity since 1990 and online since 1997. It offers the best gear and apparel from Atomic, Burton, DC, Flow, Forum, GNU, K2, Libtech, The North Face, Salomon, Ride, Rossignol, Ugg, Under Armour, and other leading brands. The Summit Sports family of sites also includes InlineSkates.com, WaterOutfitters.com, CampGear.com, ACK.com, and RackBoys.com. Visit SummitSports.com for more details. ALTA, Wyo. (Nov. 15, 2018) — Ski season officially begins tomorrow for Idaho ski resorts, with Grand Targhee opening for its 50th season Friday Nov. 16. Although just across the border in Alta, Wyo., Grand Targhee affiliates with the Idaho Ski Areas Association because the resort is only accessible via Driggs, Idaho. It earned first place in the west for snow plus props for affordability in SKI magazine's annual "Resorts of the Year" issue for 2019. Grand Targhee also garnered fifth place among western resorts for "overall satisfaction" among SKI magazine readers. Last year The Wall Street Journal named the mountain one of the five best-kept secret ski resorts in the U.S.
Grand Targhee (grandtarghee.com) is the second northwest ski resort to open this season and the only one open in Idaho, Oregon, Washington, and Wyoming. 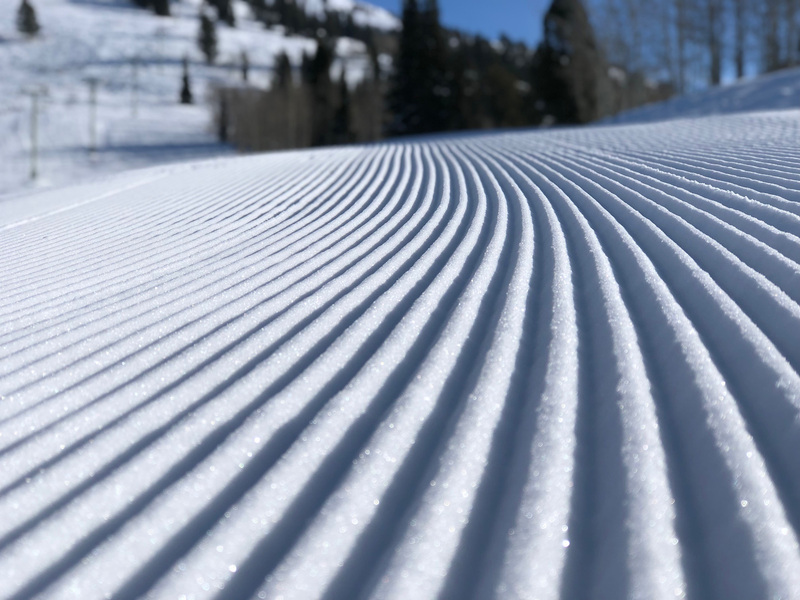 It is the 24th U.S. ski resort that has opened to date this season and one of only 29 mountains currently operating in North America among more than 500 total ski resorts continent-wide. The resort has 27 inches of snow at the base and has received 56 inches to date this season. It plans to open the Dreamcatcher, Shoshone, and Papoose chairlifts tomorrow. "We plan on having all terrain accessed by the Dreamcatcher and Shoshone lifts open," Grand Targhee marketing director Jennie White says. "We are excited to celebrate 50 seasons of skiing this year. Early season conditions do exist and we would like to remind skiers and riders to use caution." Ski resorts throughout Idaho are gearing up for the season. Sun Valley (sunvalley.com) — the global birthplace of lift-assisted skiing and home to America's first destination resort — is opening Thanksgiving Nov. 22. Celebrating its 83rd winter season, the resort will operate the River Run and Lookout Express lifts on the River Run side of Bald Mountain, as well as Dollar Mountain. It is hosting the annual Sun Valley Ski Education Race Camp starting this Saturday Nov. 17. Up north, Silver Mountain Resort (silvermt.com) in Kellogg has a base depth of 10" on Kellogg Peak and 6" mid-mountain and is projecting a Nov. 23 opening date depending on weather. Meanwhile, Lookout Pass (skilookout.com) near Mullan has a fair amount of snow — 17" up top and 7-10" at the base — and just needs a little more help from Old Man Winter to open. And Schweitzer Mountain (schweitzer.com) near Sandpoint is scheduled to open Nov. 30 but hopes to open by Nov. 23 depending on snowfall. Weather conditions permitting, Brundage Mountain (brundage.com) in McCall is targeting an Easy Street chairlift opening for Nov. 23, with an official announcement from the resort expected this Monday. Tamarack Resort (tamarackidaho.com) in nearby Donnelly is projected to begin its winter season Dec. 14, but will open earlier if conditions permit. Bogus Basin (bogusbasin.org) near Boise expects to open Dec. 8, weather permitting. Straddling the Idaho-Montana border, Lost Trail (losttrail.com) between Salmon, Idaho, and Conner, Mont., is celebrating its 80th anniversary this season and hopes to open by Dec. 1, depending on snow. Down south, Pomerelle (pomerelle.com) near Albion has not set a projected opening date yet. However, the resort is currently making snow so it can hold instructor's clinics this weekend, so there will be a few turns taken on the mountain this week. Ski Idaho has 18 member resorts total, and the remaining eight mountains have yet to announce projected opening dates for the upcoming winter season. 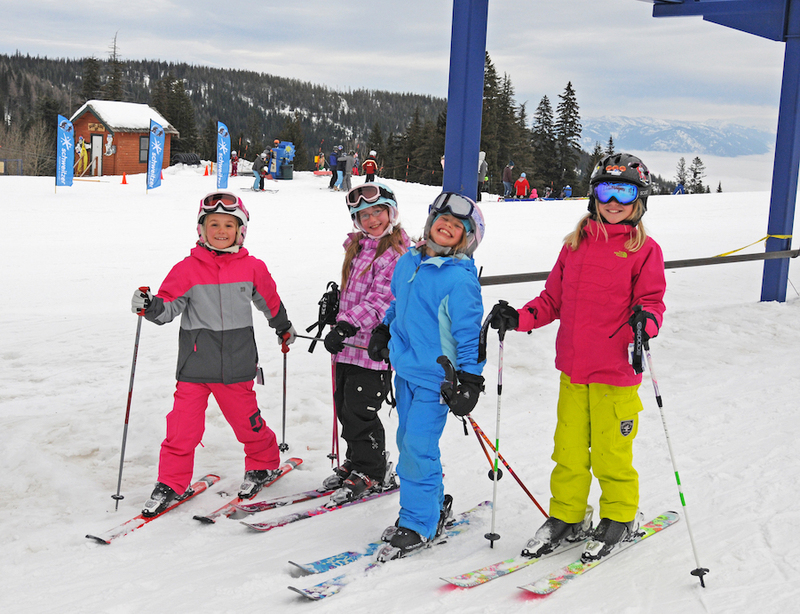 McCALL, Idaho (Nov. 14, 2018) — If you have a 5th or 6th grader who loves to ski or snowboard or one who'd like to learn, you'll want to take advantage of the free skiing program offered by the Idaho Ski Areas Association, a.k.a. Ski Idaho. The Idaho Peak Season Passport lets 5th and 6th graders ski or board 18 mountains for only 18 bucks. The program allows 5th graders to ride three days for free at all 18 Gem State ski resorts and offers 6th graders two days free at 17 mountains. It is open to any child from any state or country -- NOT just Idaho kids. Complete the application available at skiidaho.us/programs/passport and pay an $18 processing fee to order a passport for your child. Ski Idaho will email you a passport you can print out prior to hitting the slopes or pull up on your smartphone when you walk up to the ticket window. Your child must have a parent or guardian present to use the passport, and it must be shown at the resort in order to receive the lift ticket. "The family friendly reputation of Idaho ski resorts is well deserved," Ski Idaho board chair and Brundage Mountain Resort president and managing director Bob Looper says. "Our incredible, uncrowded terrain offers some of the most spectacular skiing and snowboarding on the planet regardless of your age and ability, and our Idaho Peak Season Passport makes it a lot easier for families to take advantage of our good wintertime fortune." Participating ski hills reserve the right to limit passport use for ski racers, on race days, and on any scheduled blackout dates that may apply. Visit skiidaho.us/blackout-dates for a list of scheduled blackout dates, and check with your ski hill for full details.